Although during her life her brilliance was always apparent, her great originality seems to have burst into being like a fire. La significationÂ turned out to be that most rare beast, a graduate thesis that changed an entire discipline. All quotes are from The Cave Painters: Probing the Mysteries of the World’s First Artists, by Gregory Curtis. In this thesis, which became a 1962 book, Laming-Emperaire summarized the discovery of Paleolithic art and the methods proposed so far for dating it. Then she looked at various interpretations of the art that scholars had suggested over the years: that the paintings evoked hunting magic; that they were fertility symbols; that they represented the totems of tribes. Then she dismissed it all. All of this, the whole body of work dedicated to explaining cave art, sixty years of consistent effort by many brilliant minds, she sweeps aside. For the time of writing, Laming-Emperaire was making a distinctly 21st century point. She had harsh words for her predecessor, the abbÃ© Breuil, who in his discussion of masks in the paintings had invoked Paleo-Siberians, the Inuit peoples, Native Americans from North and South America, the bushmen of South Africa and Australian tribes in turn – conveniently glossing over the fact that in each of these societies, the masks mean different things. The bushmen use them for hunting; the Native Americans use them for sacred dances and the Australian Aboriginal people use them to represent gods and ancestors. Different cultures are different from one another. Breuil’s argument tells us nothing whatever about the Paleolithic painters. Laming-Emperaire went further. Such comparisons, she said, are inherently arbitrary. An archaeologist forms a hypothesis about an artifact, then trawls the monographs of ethnology for evidence that supports his view. Confirmation bias might as well be built into the process. What, then, are our options? 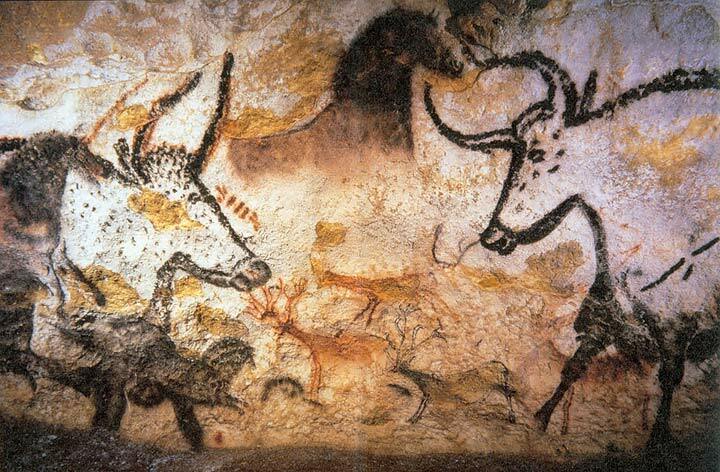 If we can’t use arguments from existing cultures to shed light on cave paintings, how else might we bring the Paleolithic painters back to life? As Laming-Emperaire saw it, our options exist on a spectrum between rigorous empiricism – exact and objective enumeration of places, shapes and sizes – and prehistorical fiction – just making stuff up. The discipline, she said, had been oscillating between these poles: “sclerotic rigor on one side, a lively but unreliable creation on the other.” In the rest of La signification,Â she tried to show another way forward. We can know only three things (she argued) about a prehistoric artifact: how it was made; any signs of use; and where it was found. The methods of painting cave art are interesting, but they don’t shed much light on what the paintings mean. Nor is it helpful to look for signs of use, since in the vast majority of cases there simply aren’t any. What she proposed, instead, was to look at where the paintings are. Instead of allowing our preconceptions and prejudices to blind us, Laming-Emperaire called us to pay attention to what is in front of our eyes. She drew diagrams of the cave walls illustrating what species were represented and which way they faced. By carefully inventorying each scene, she began to identify paintings that might represent the same scene: a bison in a trap, surrounded by horses; a man threatened by a bison. If she is right, these scenes are the oldest messages in human history, communicating across tens of millennia. And this hypothesis is based not upon idle speculation, but upon rigorous scholarship. Not surprisingly, Laming-Emperaire’s own legacy changed archeology, and her influence endures. This audacious graduate student is saying it’s time to leave the thinking and the methods of the past behind and march in the manner she prescribes into the future. And, broadly speaking, that is exactly what happened. The goals and expectations are rather different, and the techniques, particularly those using computer graphics, are more sophisticated, but detailed inventories and comparisons like those she first suggested remain at the heart of the study of Paleolithic art. This entry was posted in Uncategorized and tagged history, wednesday geek woman, women in science on 2011/09/07 by mizchalmers.